Browse: Home /	Energy Efficiency, ENERGY SOLUTIONS, Renewable Energy / Solar net-metering in Brooklyn! 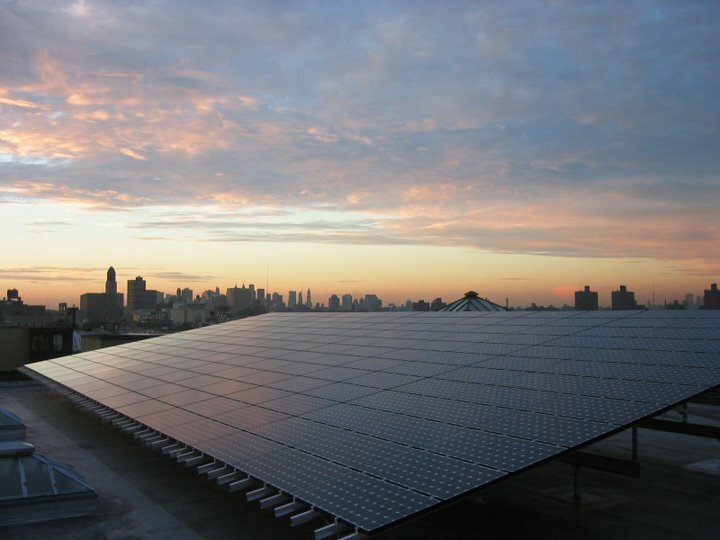 I just learned about this 40 KW solar installation at 925 Bergen Street (aka the Monti Building) — the first commercial net-metered solar array in New York City — from Solar One‘s excellent email newsletter. This is one of two projects developed by Big Sue LLC in Crown Heights, Brooklyn (the other is a residential building on Dean Street); both have solar panels, along with other environmentally-conscious features such as radiant heating, green roofs, and extensive reuse of original construction materials. Solar One’s education and advocacy campaigns played a big role in changing New York State’s net metering laws last year; commercial buildings are now able to sell the excess power generated by their solar panels back to the grid, which is a huge step for renewable energy development in New York City. As mentioned in the video, the Network for New Energy Choices upgraded its rating of our state’s net metering policy from “D” in 2007 to “B” in 2008! Big sue LLC used to buy solar panels from us.We are glad that their projects are so successful. We’re working on a couple of projects that we intend to net-meter in NYC. It’s a little bit tricky to make the numbers come out, I was wondering how the electricity re-sell deal was worked with ConEd and what rate they are paying? Gabe, Solar One is a great resource for this sort of information. You could also try contacting the developer, Big Sue LLC, directly and see if they are willing to share the details.